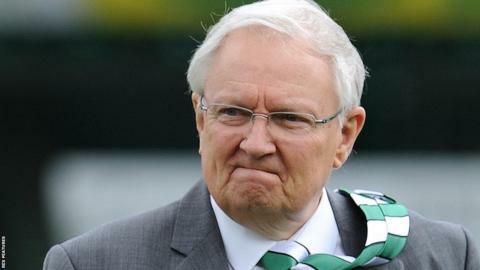 Yeovil Town co-owner John Fry would listen to a serious offer for the League Two side, BBC Somerset reports. The Glovers chairman owns a 46.5% share in the club, with a further 45.5% owned by Norman Hayward and the remainder belonging to individual supporters. Fry, who has faced pressure to step down from supporters, has been a director at the club since 1993. Meanwhile, the head of a proposed supporters' trust has said they would be interested in purchasing the club. "On one level we'd like 100% control so the supporters ran the football club," Brendon Owen told BBC Somerset. "But in all honesty we haven't got that sort of money at the present time because we haven't got our trust up and running, we haven't got the funds coming in yet. "If we had three serious investors get together they perhaps would include us as a fourth partner, so we would have a quarter share of the club, and in doing so the supporters would then have a very strong voice in how Yeovil Town ran." Yeovil are currently 23rd in League Two, two points adrift of safety.